Remembering is key for poets – you will all know how often we draw on events and emotions from our past to create poems. We also remember other poems we have read and the echo of their form and language can inspire us. Young Poets Network invites you to write a line or two of poetry which captures the theme of remembrance in some way. Send in your lines and phrases and we will use one line from everybody who submits to post on Facebook and Twitter throughout National Poetry Day. We will also create a feature on Young Poets Network using everyone’s writing. 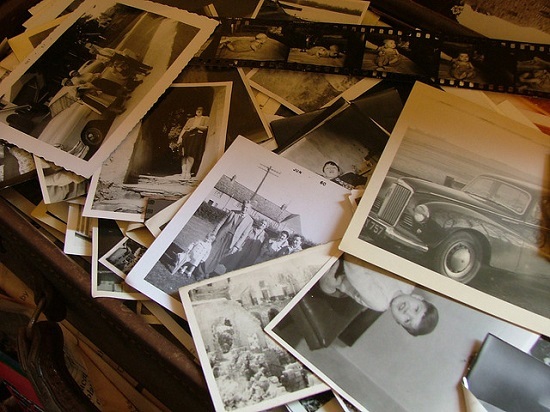 If you are writing about a memory in the past, which details will you choose? Does the memory especially engage a particular sense? Will you use the phrase ‘I remember’ or will you get this across in another way? Will you speak as an individual or as a larger group, remembering a common experience? Is the memory in the past, or are you imagining how you will remember something in the future – or perhaps worrying that you will forget? Is it possible to remember things as they actually happened, or does human nature get in the way? In Wordsworth’s ‘I Wandered Lonely as a Cloud’, the importance of the daffodils is more intense in the speaker’s remembrance than when he actually first saw them. In AE Housman’s A Shropshire Lad, home is a vividly-evoked place to which the speaker cannot return. Edward Thomas vividly conjures a hot, sound-filled summer’s day when his train stopped unexpectedly at Adlestrop station. In Rupert Brooke’s poem ‘The Soldier’, the speaker asks those who survive him to remember him in a particular way, using his own memories of his English childhood. Wilfred Owen presents a very different kind of remembrance for dead soldiers, in ‘Anthem for Doomed Youth’. TS Eliot’s J Alfred Prufrock ties himself up in knots thinking about how he will remember things in the future, which is based on his memories of the past. Foyle Young Poet 2012 Phoebe Boswall’s poem ‘Baking’ is an elegy for her grandmother. This opportunity has now closed – but take inspiration from the fab lines we received and write a new poem to submit to one of our Poetry Opportunities! My son has written a moving poem about ww1. Do you know of any upcoming competitions, anthologies, etc that he could enter this into, that would be relevant to this theme?Thank you. Hi there, your son could enter one of these competitions – all free to enter! Good luck to him. Hello, I had one question regarding this competition of poetry on the theme of Remember. Are we supposed to submit a full poem or just a few lines from a poem??? Hi Fareeha, we are just after lines of poetry, not full poems! Some people have sent in full poems, and you are welcome to do that, but we will just be using a line or two.